Part of New Burlington House, purpose built in 1875 for London's learned societies. Historic apartments with highlights from the Library and Museum collections on display. Imposing top-lit library with double galleries and marbled columns. 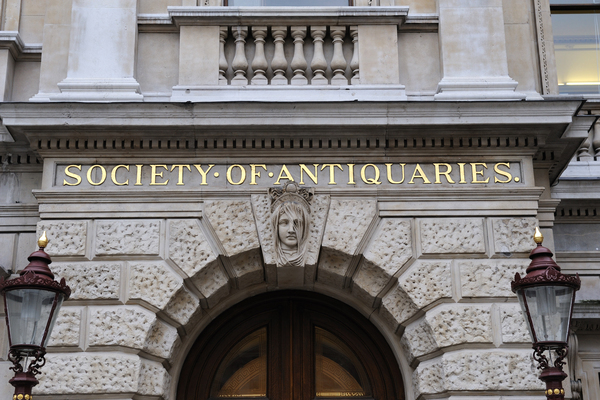 The Society of Antiquaries of London is the oldest independent learned society concerned with the study of the past. It traces its origin to a meeting on 5 December 1707 between three friends, Humfrey Wanley, John Talman and John Bagford in a London tavern. At this time those who were interested in the physical and documentary evidence for the past were called antiquaries. The Society was formally constituted in 1718 when there were twenty three members. The Society had a membership of about 150 in 1751 when it was granted a royal charter by King George II, who became its patron, and its members became entitled to call themselves Fellows (or FSA). It was charged by its charter with the ‘encouragement, advancement and furtherance of the study and knowledge of the antiquities and history of this and other countries’. Today the Society’s Fellowship has grown to almost 2,900 individuals spread around the United Kingdom, Europe and the world. Women were admitted for the first time in 1921 and now form about one sixth of the total. Fellows work in the fields of archaeology, art and architectural history, material culture studies, museology, archival research, conservation and cultural resource management and serve in senior positions throughout the heritage. 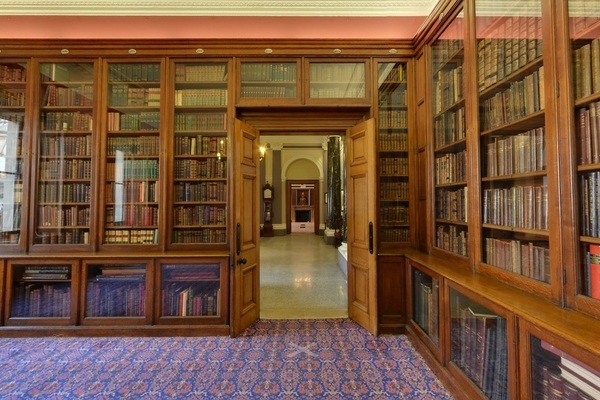 The Society’s library and museum collections reflect the many and varied interests of its Fellows. 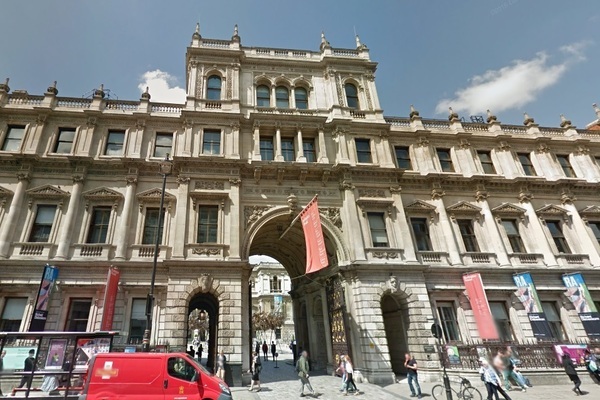 In 1875 the Society moved from Somerset House, where it had been since 1781, to its current premises, the purpose-built apartments in Burlington House, designed by the architects Banks and Barry Jnr. These offered considerably more space for its expanding library and museum collections. The Hall, which was refurbished in 2007, has the historic brass emblem of the Society, the ‘lamp of knowledge’, inset into a Portland stone roundel in the 1920s terrazzo floor. The original lamp is still in the Society’s possession. The Edwardian Empire-style chandelier was restored in the refurbishment. The northern part of the apartments was originally designed as accommodation for the General Secretary of the Society. The Council Room (to the right of the hall) was planned as his dining room. 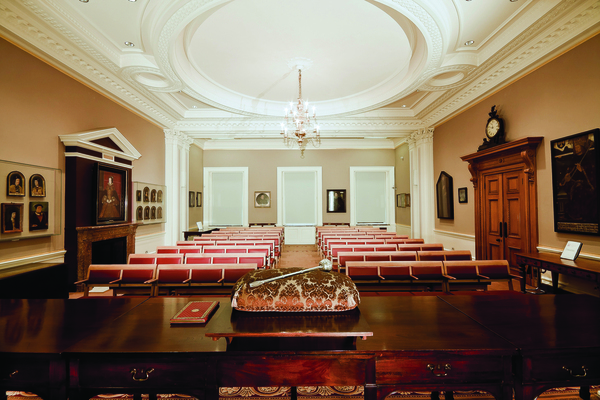 The room is now used for meetings of the Society’s Council and standing committees. The Meeting Room (on the left of the hall) is where the Ordinary Meetings of the Society take place every Thursday from October to May. The Presidential Chair came from Somerset House. The new benches, which were installed as part of the refurbishment project, are made in European oak and designed by Luke Hughes and Co. The mantelpiece clock over the door mantel was designed by William Chambers and dates to 1786. The chandelier, which also came from Somerset House, dates from 1781. Both the Council Room and Meeting Room are available for hire for meetings and conferences. 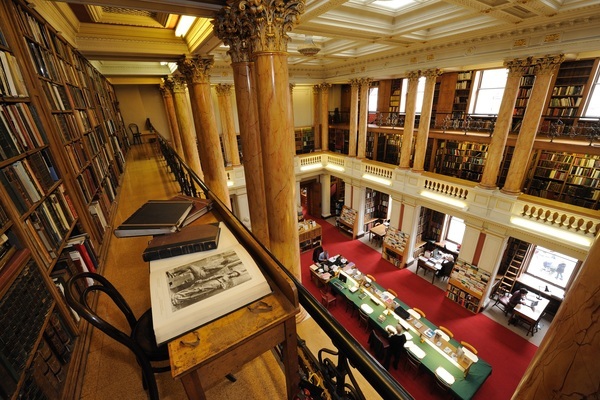 The Library is the largest and grandest room on the Society’s premises. 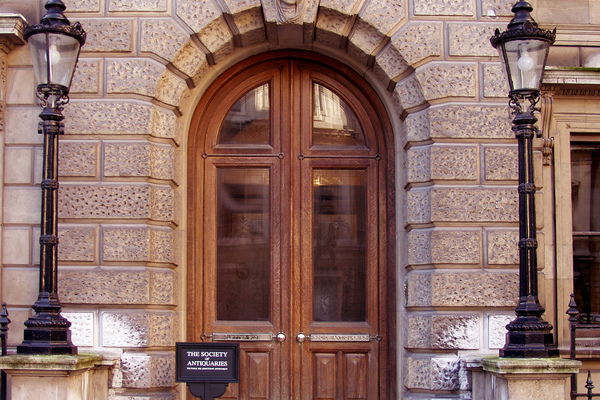 The previous library in Somerset House was in a room on the ground floor on the noisy Strand front, which is now the Courtauld Gallery Shop. By contrast the new library was a spacious double height room with maximum daylight, in a quiet position within the courtyard. Artificial lighting was originally very poor, being provided by gas lamps on the sides above the bays and two great gasoliers in the ceiling operated by a lever in Bay 1-7. Ventilation was provided by the gasoliers and ducts over the top galleries. Heating came from coal fires at either end and radiators under some of the windows. The long table was originally in Somerset House and was brought up from the Meeting Room when the seating was re-arranged in 1929. The innovative architectural scheme features receding galleries with the weight of books supported by the outer walls. The finely proportioned room is twice as long as it is wide and given a more lofty appearance by the height being slightly higher than the width. The Library was decorated in its current style nearly 40 years ago. Paintings from the Society’s collection are on display throughout these rooms and on the grand staircase to the Library.